My second day in the area I spent exploring San Francisco with my fiance. We first went out on the bridge to bridge tour of the bay, where we got to see the Golden Gate and Bay Bridges up close and drive near Alcatraz. Later in the evening I went out exploring and wanted to stop by Thirsty Bear Brewing but sadly they were not open. This led me to the bar across the street from our hotel where I was happy to find they had $3 pints for happy hour. 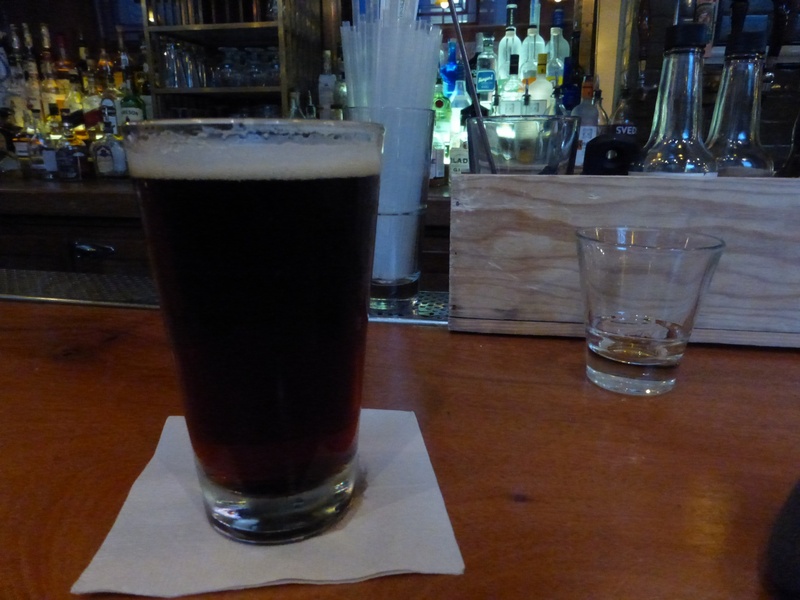 This was my chance to try the Prohibition Ale from Speakeasy Ales & Lagers. The hop flavors really make this one of my favorite ales. They add just the right amount of hops to balance out the typical malt flavors you get in an ale. I only had one here because we were off to Oakland to eat dinner with relatives and more beer to enjoy with that. We stopped by a restaurant where we had pizza and appetizers with beer. I was glad to see a solid selection of beers on tap to choose from. My fiance went straight for the Stone Russian Imperial Stout which they served in a pint. Needless to say he only had one. I went straight for the Drake’s Brewing 1500 Pale. It had a nice light taste with some nice hop flavor. At 5.5% it was what some breweries might call an extra pale. After that I was ready for something substantial and tried Heretic Brewing’s Evil Cousin Imperial IPA. The beer had plenty of citrus and pine flavors, nicely balanced by the right amount of malts. I was satisfied for the day with my hop fix. In Part 3 I will explore Rosamunde Sausage Grill and the beer I had on tap there. Part 4 will explore Southern Pacific Brewing. Part 5 will round it out with a visit to Rogue.